St. Simons Island has so much to offer and we want to share it with you! Click the links to view The ABC’s of St. Simons Island Part 1, Part 2 & Part 3. R. Redfern Village– A shoppers and foodie’s paradise, Redfern has lots to offer. From restaurants to shops and art galleries, you could spend an entire day exploring this small corner of the island. Some of our favorites for shopping are: Tibi, Two Friends and The Vine. For delicious eats be sure to check out Blackwater Grill and Gnat’s Landing. 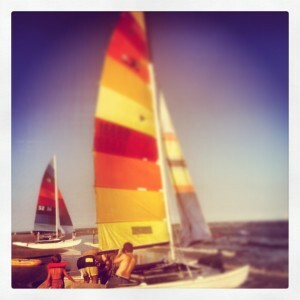 S. Sailing– The best way to experience the island is from the water! Barry’s Beach Service rents out Hobie Cat sailboats from East Beach. Spend a day on the water and you’ll enjoy every minute of it. T. Tours– From trolley tours to history tours to ghost tours, you’ll find a tour for whatever your interest may be. Lighthouse Trolleys offers a variety of tours throughout the year ranging from history to water tours and even a foodie tour! If you are looking for something a little scary, Ghost Walk of St. Simons has you covered. U. Undiscovered– There are undiscovered treasures and memories waiting around every corner of our beautiful Southern island. It doesn’t take much to start collecting them once you arrive! V. The Village– The heart of the island lies in the village. You will find a lovely waterfront park and pier as well as many independent shops and lots of restaurants. Throughout the year, the village plays host to many festivals and live music events. Stay tuned for our next post as we finish up our ABC series! 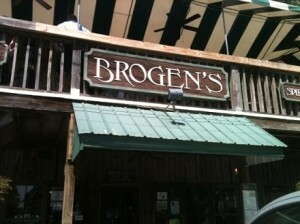 2) Brogen’s– If you are looking for a fun, casual place to catch the game and grab a bite to eat, Brogen’s is the place to go. They have a great selection of burgers, salads and sandwiches and their menu will not disappoint. Their prime location in the pier village area makes Brogen’s a great location to grab a bite and then do some shopping or people watching. Staff Pick: The Mushroom-Swiss Burger. 3) Halyards & Tramici– Whether you are in the mood for seafood or rustic Italian cuisine, executive chef and owner Dave Snyder has you covered. Halyards highlights a seasonal dinner menu full of fresh catches that were caught locally earlier that day and farm fresh produce. Tramici serves both lunch and dinner in a fun atmosphere. Enjoy fresh baked bread while you wait for your delectable entrees to arrive and whatever you do, don’t forget dessert! Staff Picks: Halyards- Try a cup of the Creamy Blue Crab Bisque followed by an entrée of Wild Georgia Shrimp with Gayla’s Grits. Tramici- Order a large bowl of P.E.I. Mussels to share and don’t forget about their homemade pizza. 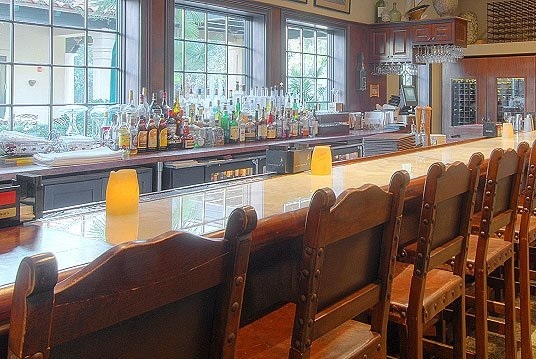 4) Blackwater Grill– Located in Redfern Village on St. Simons Island, Blackwater Grill is a treat for your taste buds with their Cajun and coastal cuisine. Their spicy and savory menu items have kept locals coming back for over 13 years! Staff Pick: Crawfish Etoufee. 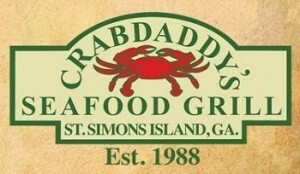 Check out Part 2 of our St. Simons Island Restaurant Guide here!